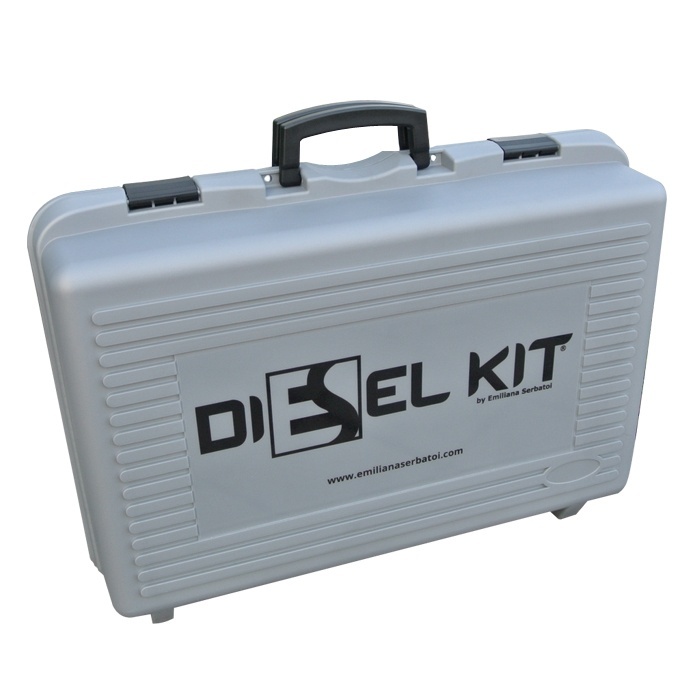 Portable unit for transferring Diesel fuel, fitted with battery electropump. 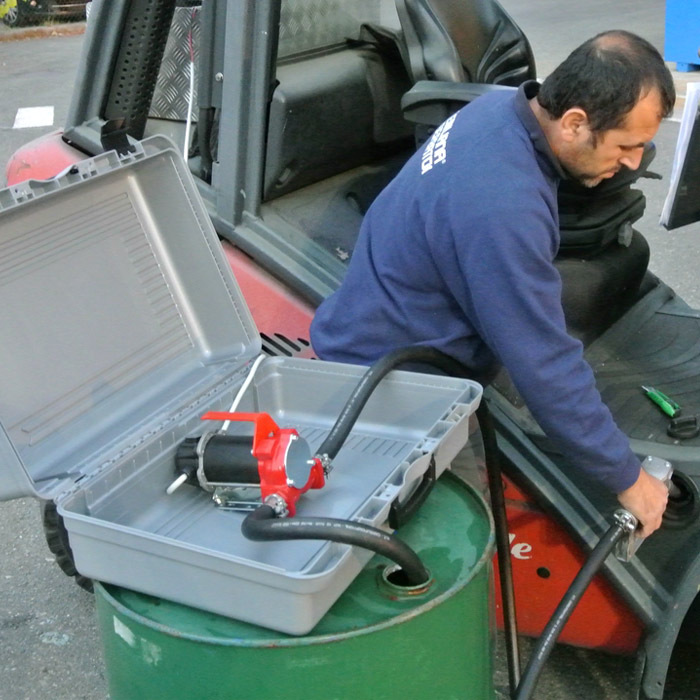 Thanks to its small size, reliability and ready-to-use configuration, it is especially useful when fuel must be transferred or dispensed safely having only battery power on hand, as in construction sites, on boats and in agriculture. 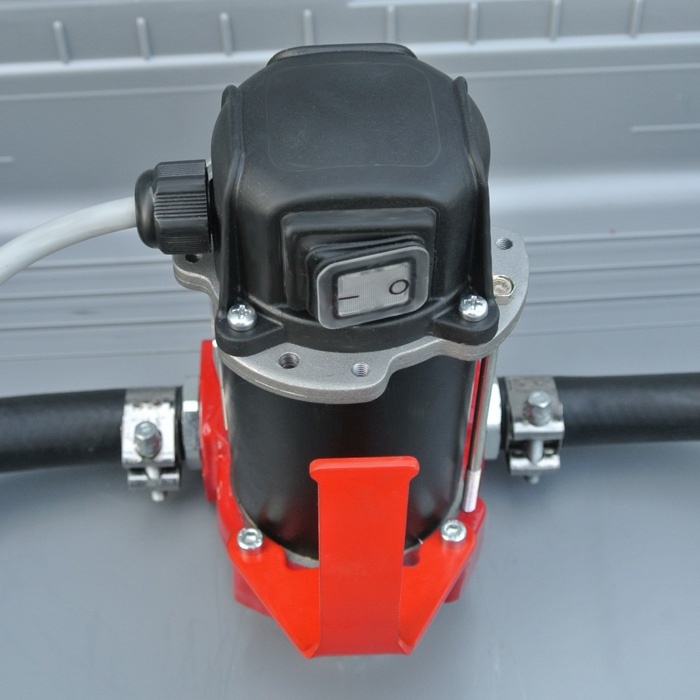 Self-priming rotary vane pump, with cast-iron casing. Fixed-brush motor with permanent-magnet stator. 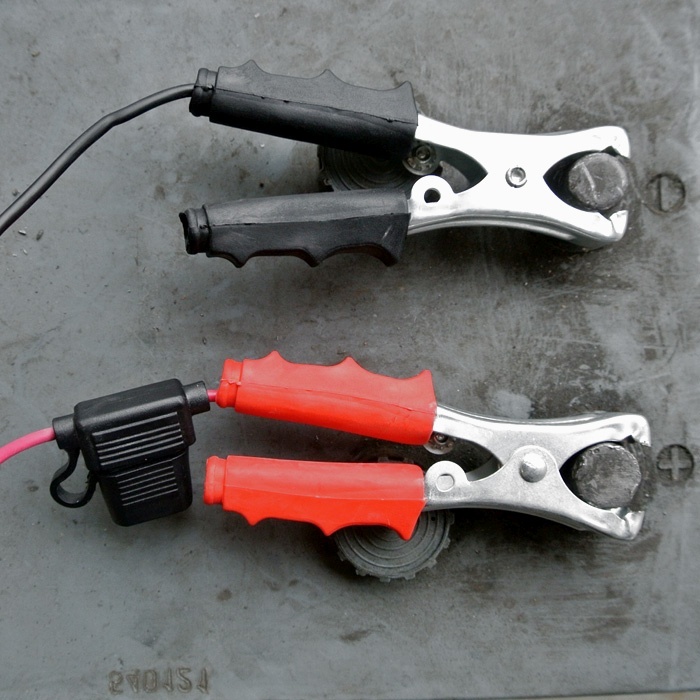 4-meter cable with clips for connection to battery. 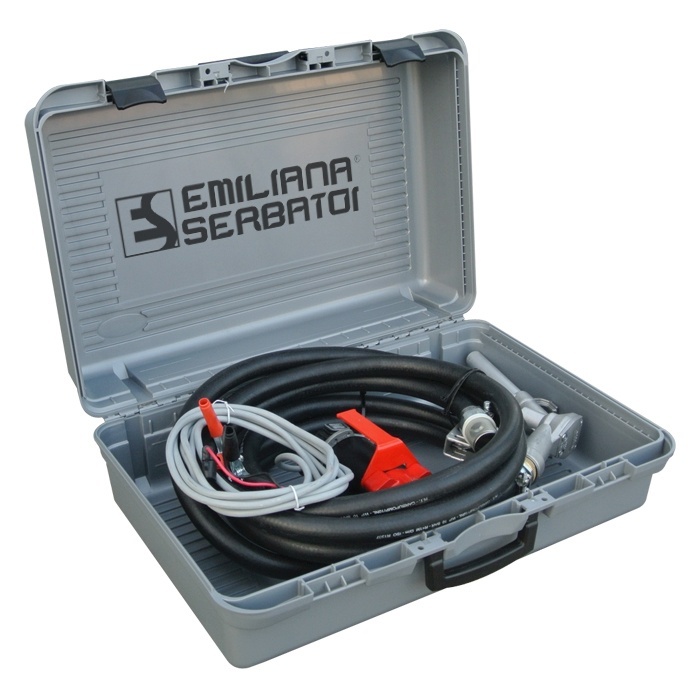 Antistatic fuel hose, 3 meters length. 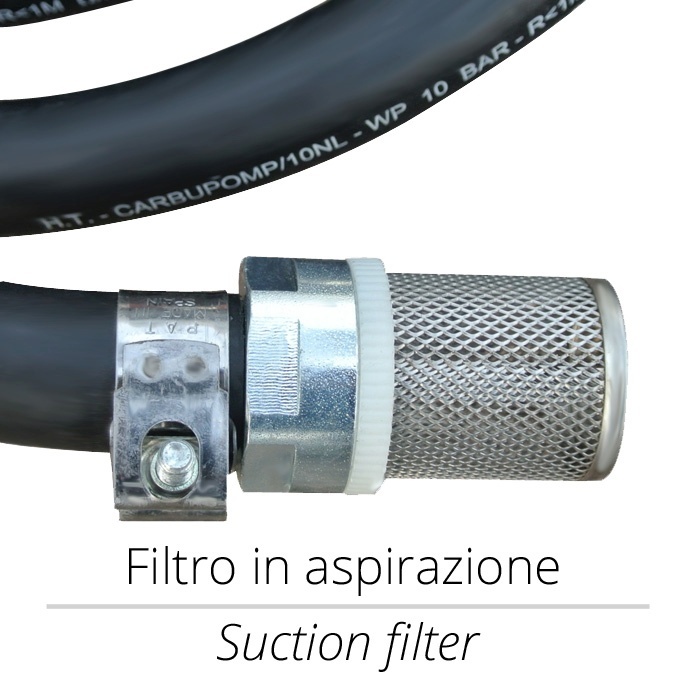 3 m suction hose with bottom-filter. Power supply: 12V DC or 24V DC. Consumption: 22 Amp (12V DC) - 11 Amp (24V DC). 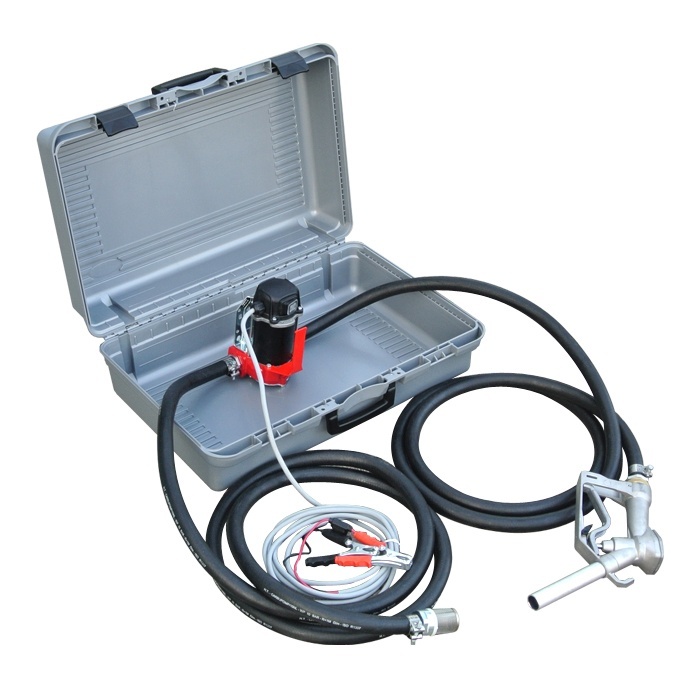 Max flow rate: 38 l/min. 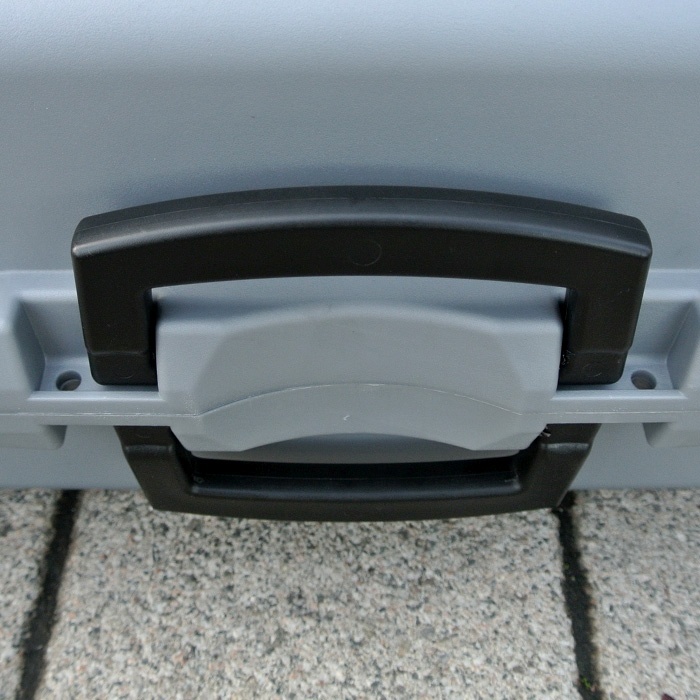 Suction capacity: up to 3 meters. (Images are indicative and subject to variation from the actual product).